Object: In the time since CUSP launched, what have you been up to? What are some of your highlights from the last year? Stephen Mushin: 2014 has been a really busy year working on my Now If What Then illustration project – one of the projects that I’m exhibiting at CUSP. This design/science project aims to kick-start dialogue on big sustainability issues by engaging communities to brainstorm ‘solutions’ with designers and scientists. 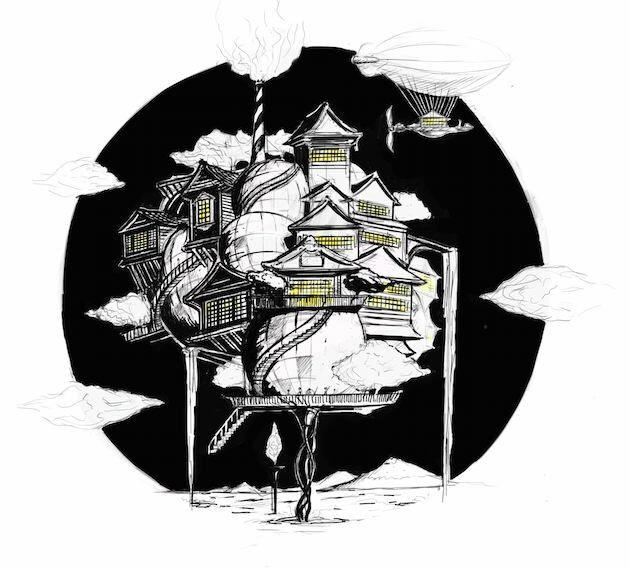 Through these workshops I develop and illustrate ‘thought experiments’ – schemes that may seem unorthodox, but which are theoretically plausible (we do the maths and explain how): For example floating cows in the sky using their own methane gas? It’s actually possible and would result in massive greenhouse gas emissions savings (you’ll have to visit the CUSP exhibition to find out how). This year Now If What Then partnered with the Tokyo University of Agriculture to explore growing food from organic waste to feed Tokyo, and with the Dogo Art contemporary arts festival on the southern Japanese island of Shikoku to explore floating ancient wooden bathhouses in the sky to escape rising sea levels. How do we plan to do this? By using geothermal heat energy to fill balloons with hot air (completely possible). 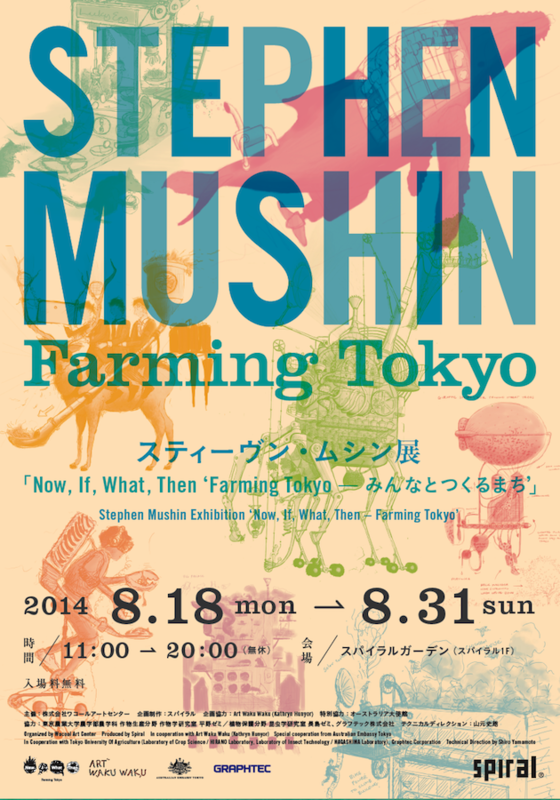 I was also fortunate enough to have my first solo exhibition at Spiral Contemporary Art Gallery in Tokyo in August. 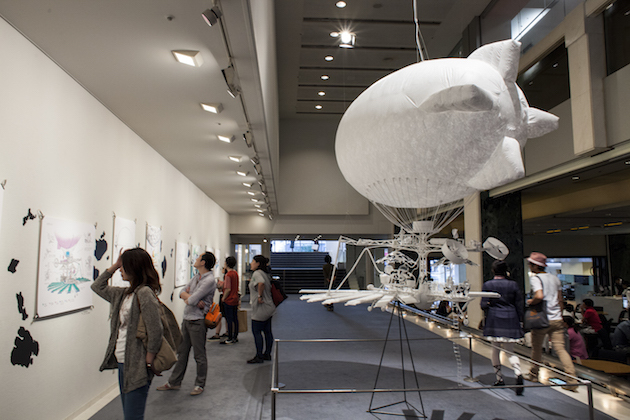 Called Now If What Then, Farming Tokyo, this exhibition presented a mix of drawings, and a 3m x 3m x 3m, 3D printed, 1:10 scale model of our refined Cowship design V2. 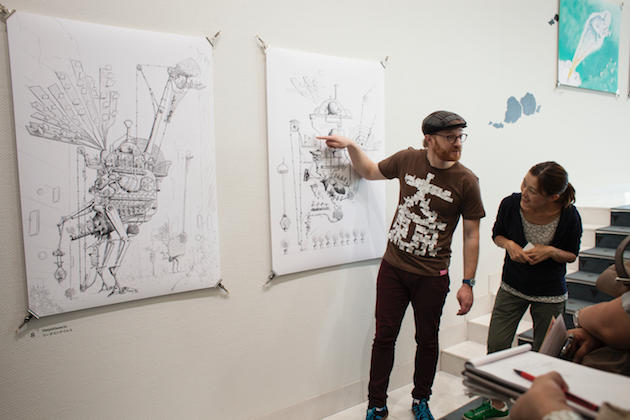 The gallery also contained a large public ideas space where we held workshops for kids to design their own ruminant animal powered floating farms and hosted professional development evenings for designers and engineers. One of these design workshop sessions was attended by engineers from a local nuclear power plant company who came along for a professional development day to learn more about renewable energy! O: Can you tell us what you are working on right now? O: Looking forward, where do you expect you’ll find yourself at the end of CUSP’s 2-year national tour? SM: Happily working on my exhibitions, workshops and prototypes. Preparing for exhibitions is super stressful and I easily get totally lost in drawing for weeks on end, so I‘ve decided that my working week this coming year will involve an ideal mix of: 1/3 drawing, 1/3 teaching and collaborative design and 1/3 time making in the shed. Most importantly, 10% of every day should be allocated to juggling, running up the nearest hill, or playing hacky sack with my studio mates; seriously. O: How has the concept of your CUSP project evolved since first appearing in the CUSP exhibition? O: Have there been any shifts in the economic, environmental, social and technological landscape that have altered the application of your CUSP project? 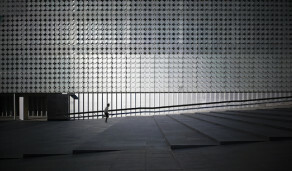 SM: Both of my CUSP projects aim to inspire action to address climate change. The latest climate change data shows us that the global situation (the amount of carbon pollution being emitted) is going from bad to worse, but the rapid socio/political shift which has taken place over the development of CUSP that relates to this has been the Australian political response which has gone from week to laughable. This makes me more determined than ever to use design and art to engage people with climate change issues. O: What impact has CUSP touring of regional venues over the last year had on your work? SM: I’ve had such an inspiring time engaging with groups of students, adults, kids and teachers while running CUSP workshops at regional venues, and I’m hoping to do a lot more of this kind of work in the future. Interestingly there seems to be quite a demand for vocational courses on Cowship design and Ethical Polar Bear Farm planning in regional Australia. So I think I’m in luck.